After publishing my first post 2 days ago, now I had completed adding Pages, About me and Purpose of the blog. Hope that someday, someone, somewhere will start reading my blog and contribute valuable advice or discussions so that we can improve ourselves together. I am taking one step at a time, just like building a business from scratch. It is a long process and often gratification are delayed, but what is important is we have the courage to start, learn, put in hardwork, persist and have faith in it. For my second post, I actually wanted to blog on "Reasons of me starting blogging." However, I received a piece of shocking news from my Stock Broker firm Lim and Tan Securities this afternoon. I was told that my Broker of almost three and half years had past away. He is one of my friend's ex-colleague. I was told he died of Brain Stroke and he is only in his late 40s or early 50s. It is such a shame. I had been receiving daily emails of multiple analyst reports almost daily without fail for the past years. The last email reports is also received last Thur. I also spoke to him on the phone last month while I almost forget to pay one of the trades on time, and now he is Gone. This also reminds me of Dennis Ng, a famous Singapore Financial adviser and Founder of Master your finance and Housing.loan.sg, who passed away at the age of 42 in 2012. Dennis is very frugal and always live within or below his means. Even though he is multimillionaire and founded several businesses, he continue to stay in HDB, and take "BMW" from home to work. BMW = Bus, MRT or Walk. Dennis takes pride in his teachings of financial freedom for most Singaporean including myself who had read his book. 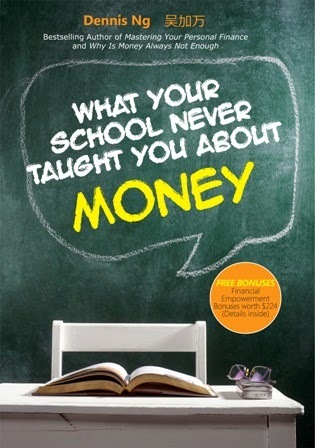 The book title is "What your School Never Taught You about Money" . It leads us to think if we should enjoy as much as we can while we are alive, forget about saving every bit of your hard earned income, just spend on nice cars, nice house and have many nice holidays. Afterall we are going to die and you never know if it is sooner or later? Should we live frugally within or below our means, monitoring our expenses daily, checking the price tags frequently and never ever dream of owning a car and a nice house? 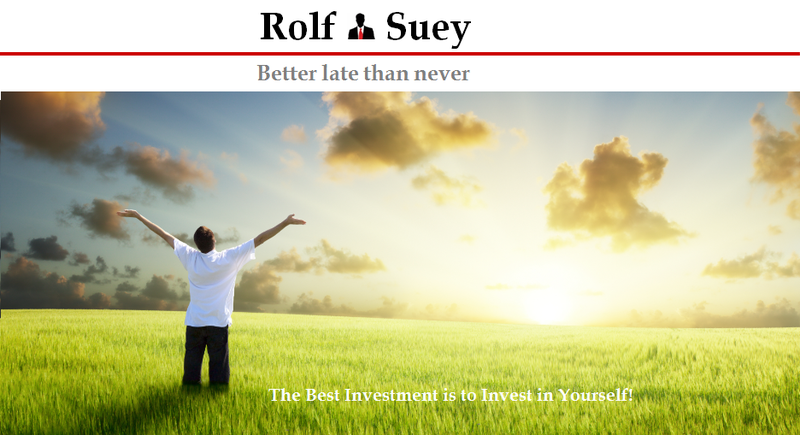 Bottom line: Financial Planning! Spend wisely, strike a balance and be responsible to yourself and your descendants.